We will start our tour at 11:00 am. We will meet at 2nd. Ave between 80th and 81st Street in Manhattan by H&H Midtown Bagels East. DON'T BE LATE! Come 20 minutes early to check in. You will be greeted by your tour guide and you will sign our liability waiver. We will start our weekend tour driving to Minnewaska State Park on our way to the Catskills. 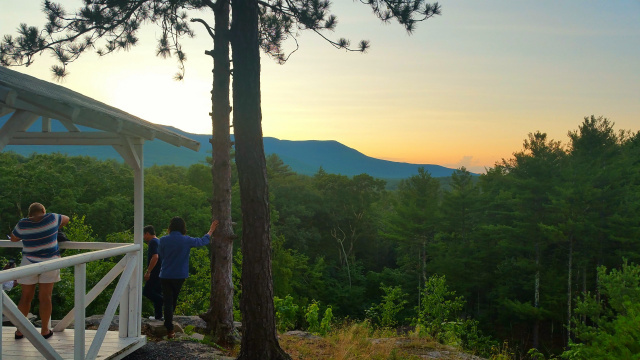 Situated on the dramatic Shawangunk Mountain ridge, which rises more than 2,000 feet above sea level and is surrounded by rugged, rocky terrain. we will indulge in a leisurely 1 ½ - 2 Hour hike around a beautiful lake. 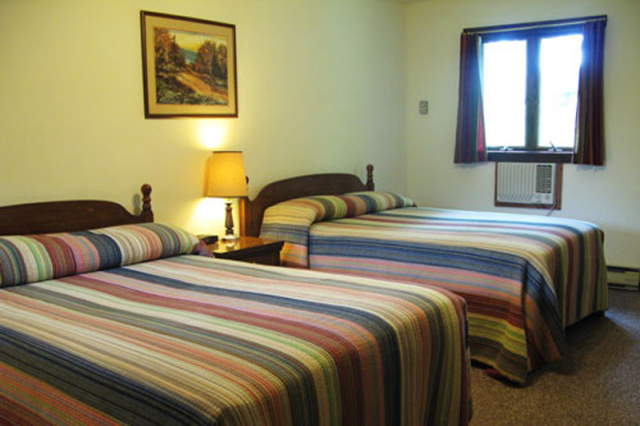 You will experience sheer cliffs and ledges opening to spectacular views of the lake and the Shawangunk Mountains. If you don’t feel like hiking you can swim and relax at lake beach. 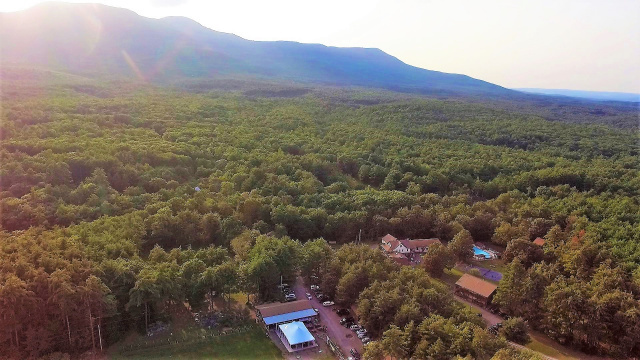 We will then drive to our resort, an American/German family resort located in the Scenic Catskill Mountains. We will check in and enjoy a delicious family style dinner. Your room will include air conditioning, a ceiling fan and private bath. The resort seen from the air. At the resort you can enjoy many different activities such as: An outdoor and indoor pool or relax in a 12 seated hot tub. You can also play Tennis, Shuffleboard, volleyball, basketball, horseshoes and you will find a game room equipped with a pool table, ping pong and various video games. You will also find a couple of fitness machines. At the resort there is a lake where you can view turtles. 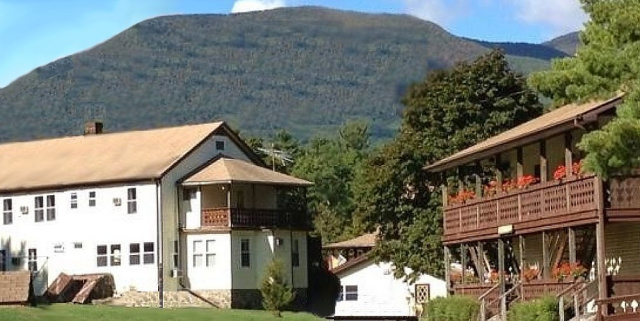 At the resort you will also find 70 acres of winding hiking trails to waterfalls and beautiful mountain sceneries. Traditional German Dance entertainment in the evening. Watch the sunset from the resort's "Sunset Point"
As you can read, at the resort you will have many options of activities. However we will also provide you with additional choices in terms of different daily tours outside of the resort. 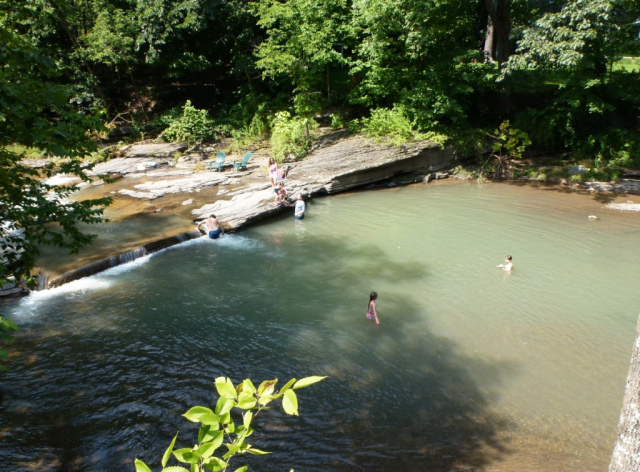 We will visit the Mahayana Buddhist Temple and if the weather is very warm we will drive to a natural swim hole. We will also drive to other hiking trails. These trails/tours will be planned dependant on the weather, tour participant’s interests, physical condition and prior tour participations with Hines Tours. We will drive to the Mahayana Buddhist Temple. Dedicated in 1971, this is the Retreat of the Eastern States Buddhist Temple of America. The MahayanaTemple is located in a beautiful location between lakes and meadows. Explore the beautiful grounds and the different temple buildings including the Seven Storied Jade Pagoda and a temple featuring 500 Buddha statues. 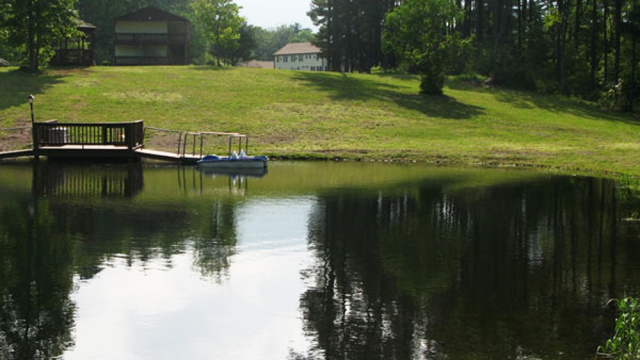 A lake where you can swim or rent a Kayak/Canoe. On the way back we will stop by the town of Woodstock. This idyllic and artsy town gave name to the famous festival in 1969. Enjoy the many unique shops and colorful buildings surrounded by some nice nature. We will return to NYC at approximately 7 pm.